The effects of menopause can be utterly debilitating for women, ravaging their physical, mental, and emotional health and often their careers and relationships too. But conventional therapies come with side effects that sometimes seem nearly as bad. 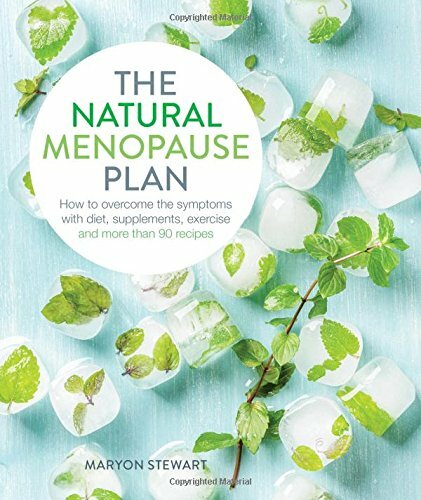 Bestselling author Maryon Stewart shows how you can alleviate the symptoms of menopause naturally and effectively; through diet, supplements, herbal remedies, exercise, and relaxation. The Natural Menopause Plan includes more than 90 delicious recipes. All are easy to make and brimming with vital nutrients, such as calcium, magnesium, and essential fatty acids. Many are especially designed to include naturally occurring estrogens (phytoestrogens); a safe and effective alternative to HRT. You'll find delicious smoothies, pancakes, and muesli recipes for breakfast. Lunch and dinner choices include fresh salads, soups, risotto, bakes, curries, stir-fries, and more, with plenty of options for special diets. Desserts and snacks offer choices like cheesecake, fruit salads, cakes, bars and breads. Each is specially designed to alleviate menopausal symptoms in a healthful, lasting way. Complete with authoritative nutritional information, this is the ultimate guide to combating the effects of the menopause the natural way.